This 84 page manual is now complete and availble as an ebook on Amazon Kindle for £4.99, or FREE to Amazon PRIME customers. Click here to access more details, request a free sample and to purchase the ebook. This books is aimed at those brand new to “Clean”, or those who have had some training but still struggle to include Clean techniques in their typical coaching work. 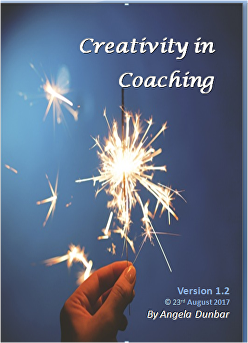 It offers simple, practical ways to use Clean and Cleanish questions, approaches and techniques within a coaching context.